I work to promote peace because I have eleven grandchildren and care about making the world better and safer. I believe the path to peace begins with love and prosperity. I want to help you prosper. I want to inspire you to do good for others. I wrote many books and was a best-selling author before my life turned upside down when my daughter passed suddenly and then my husband a year later. After a decade, I’m back and I’m a new woman. My priorities, friends, business, home, and almost everything changed. I love my family, old friends and new, and my expanded businesses. I like the new me– Joy! I think you will too. Real Estate: I help folks find the right home for their happiness–sometimes for less than they are prepared to pay because you shouldn’t spend all your money on housing. Home buyers love my free Design Psychology Plan for Joyous Living. Home sellers get a no-cost Design Psychology Home Staging Plan. I also help authors, speakers, and event presenters find a home to use as a venue or Money Mansion. 3. PlatinumCircle.org, a Social Entrepreneurial Benefit Corporation, helps entrepreneurs and real estate agents. 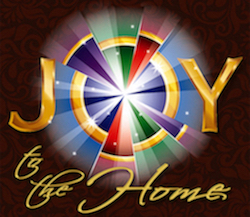 Let me bring JOY to your life & home! Find your dream home at www.JoytotheHome.com. Please follow me on Twitter, Facebook, Linkedin, and Instagram. Tweet me nice & I’ll tweet you right with over 200,000 followers. Entrepreneurs & Real Estate Professionals, connect with me on JoyPublicity.com so I can help boost your business. We need YOU to prosper for peace! We hand select authors for Joy Publications.